The storied Celebrity Theatre in Phoenix, AZ played host to Iron Boy MMA 14 this evening. 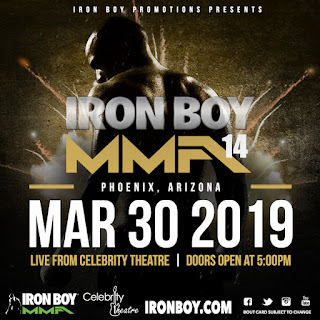 Fight fans flooded the venue chomping at the bit to witness some of the best mixed martial artists Iron Boy had to offer, particularly those residing in Arizona who represented Fight Ready MMA and The MMA Lab. Iron Boy again delivered as the atmosphere remained electric for the duration of the evening throughout all nine bouts. Living up to their reputation of developing young fighters and providing them the opportunity to compete in front of a large scale live audience, the evening began with six amateur bouts. Per amateur rules, each of the fights were scheduled for three, three minute rounds. Notorious MMA’s James Scott displayed a proficient ground game as he put his wrestling background to good use. Scott controlled the tempo of the entire fight preventing Gallegos from gaining any separation. In round two we saw Scott trap Gallegos in a rear mount as he eventually cinched in a rear naked choke for the submission victory. McKeever attempted to lock Corzantes up in a guillotine choke just short of the conclusion of round one, however, Corzantes was able to slip out hence leaving him in a prime position to end the fight with a vicious flurry of ground and pound strikes. Alex Suarez promptly utilized his striking ability to put Rodriguez on his back and proceeded to pin him down with an assault of hammer strikes. Rodriguez displayed a good defense but unfortunately as he turned his back to Suarez in an attempt to escape, the opportunity was created for Suarez to trap him in a rear naked choke for the submission win. I’ll admit it, I didn’t think this fight would make it to round number two. 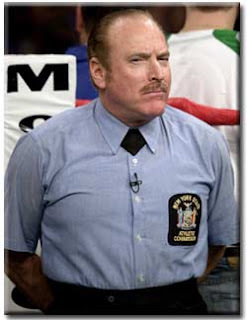 Awadalla conjured an image in my mind of what I would envision the son of Jerry Seinfeld would look like if he were an accountant by day and cage fighter by night, whereas, Hogan arrived in what appeared to be peak physical condition. I will give credit where it’s due, however, as Awadalla displayed great resilience while he fought from the guard for the majority of round one and managed to survive. In round two, Hogan came out like a fighter who was disappointed he needed to fight more than one round. Hogan promptly took advantage of Awadalla’s overzealous striking and landed a sharp right hook that propelled him into the cage and subsequently to the canvas for the KO. Flores spent the majority of the first round picking her spots as she peppered Castillo with an array of strikes. Flores finally picked her spot and landed a shot that hit Castillo squarely on the jaw and dropped her to the canvas. Flores wasted no time pouncing on Castillo and proceeded to pummel her until the referee was forced to call a stop to the action. Lyles entered this bout with a very noticeable height and reach advantage as he was 6’3” compared to Rodriguez, who was 5’9.” Lyles kept Rodriguez at bay preventing him from closing the distance to mount any offensive. Lyles was able to avoid a lunging strike attempt by Rodriguez, then proceeded to wrap him up from behind and drop him on his head. Lyles wasted no time and quickly smothered him creating the opportunity to apply a rear naked choke for the submission victory. 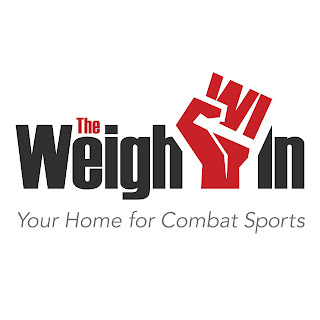 The opening contest of the professional portion of the card pitted Daviante “King Kong” Jones and 45-year old Darrell “Superman” Denslow (two men in search of their first professional victory) against each other. Blink and you might have missed this fight. Shortly after these behemoths collided, Jones overwhelmed Denslow with a barrage of strikes that had him back-peddling. Jones withstood a desperation elbow that Denslow threw with his back turned to him and landed a vicious right that dropped “Superman” to the canvas for a KO recorded in an abrupt 13 seconds! Steve Coard entered the octagon with the hometown crowd behind him and was in excellent condition. Whether it was a ploy to mess with the psyche of Arredondo or a simple lack of experience, Coard seemed to be trying to play to the crowd as he attempted a Superman punch and roundhouse kick, each to no avail, while Arredondo maintained his composure. As Arrendondo avoided falling victim to his opponent’s antics, he found his opportunity to hurt Coard with a stiff right that dropped him to the ground. The two proceeded to struggle for advantage but Arredondo would not be denied. Arredondo landed several brutal strikes, including a knee to the jaw, leading the referee to call a stop to the action. The main event of the evening found Indiana’s Evan DeLong go toe-to-toe with Arizona native Roman Salazar for the Iron Boy MMA 145lb Title. The majority of round one found DeLong fighting from the guard position as Salazar attempted to create separation in order to land some strikes. The control over DeLong most likely won this round for him in the judge’s eyes. As soon as round two began, the two combatants engaged in an action packed exchange of blows until Salazar was able to take DeLong down. DeLong was able to avert certain disaster as Salazar had him in prime position to lock in a rear naked choke but a tactful escape kept the fight alive. The latter half of the round saw DeLong vie for his own submission victory bid as he also attempted to cinch in a rear naked choke. Unfortunately for DeLong, he was unable to finish off Salazar before the end of the round. The third and final round, despite much of it being spent jockeying for position, still presented an air of tension and excitement as the two fighters countered each other with well executed sprawls, until the final seconds where the two traded blows in the center of the cage up to the final horn. In my opinion, rounds two and three could have gone either way and a draw would not have shocked me. Nonetheless, both men put on a hell of a main event and the judges awarded a very narrow unanimous decision to the hometown fighter, Roman Salazar, crowning a new 145lb Iron Boy MMA Champion.